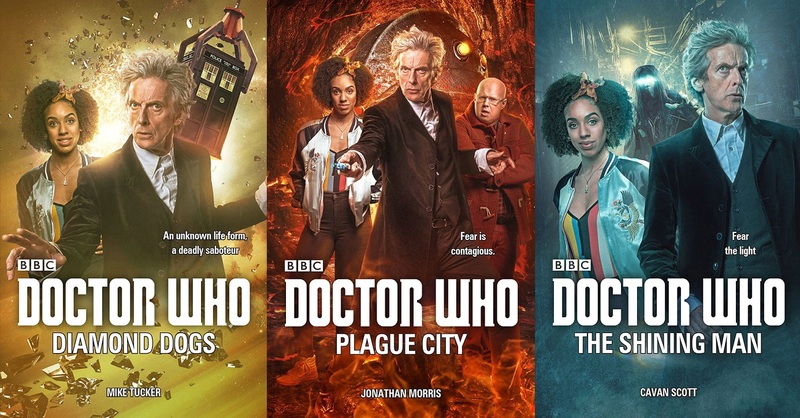 With his very first Doctor Who novel, The Shining Man, out now, I had the pleasure of chatting with frequent Doctor Who expanded universe writer Cavan Scott, about his new Twelfth Doctor novel, ominous clowns, the Mann/Scott Masterplan, and more! 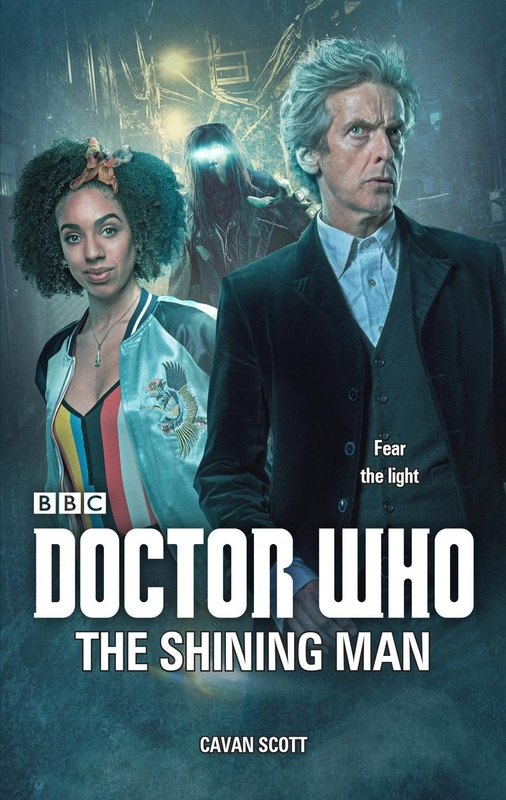 DWC: The Shining Man is one of three upcoming novels to feature new companion, Bill Potts. When it comes to writing for characters that haven’t appeared on television yet, I’ve heard writers are given script excerpts and some clips to get a feel for the character. But bar that, you seem to be left to your own devices. Was there a lot of discussion between yourself, Mike Tucker, and Jonathan Morris to cross reference how they were writing the character? Cavan: I wouldn’t say left to our own devices. We were provided with scripts up to episode 10 of the new series, and spirited away to sunny Cardiff to watch a rough cut of the first episode to get an idea of Pearl’s performance. And then, of course, the story and eventual manuscript went through the usual approval process to make sure that we hadn’t gone off piste! But yeah, there were emails firing back and forth to make sure we were running along the same lines. All three books were written in quite a short space of time, so the three of us acted like a self-support group, geeing each other on. These new Twelfth Doctor novels came out five days after the first episode of the season. How does it feel that your novel will be some of the first Bill adventures fans can experience, before the rest of series even comes out? It’s always an honour and a privilege to be a part of Who. It’s also a responsible to get it right, and, as far as I can, produce a story that matches and compliments what’s seen on screen. Writing a Who novel is a real bucket-list tick for me. 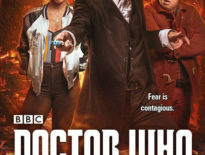 I’ve written the Doctor for comics, audios, and short stories, but always wanted to write a Who novel. They were such a big part of my life growing up. I can’t explain how it felt when the first copy of The Shining Man popped through the door. Writing Doctor Who never gets old, but this one feels very special indeed. You’ve said that The Shining Man was partially inspired by trends such as the internet myth Slenderman, and the ominous Clown Sighting phenomenon of last year. How much of your writing stems from moments of “That’s odd. Wait, I can use that!”? Oh, I’m constantly thinking ‘is there a story in this’ when I’m watching the news/reading magazines/ear-wigging to conversations on the bus. I think all creators are. With this one, the story didn’t occur to me at the time of the clown sightings, but when the call came to pitch for the novel I originally went down a different route, working up a very different idea. Then, by chance, I was going through a pile of magazines and spotted a cover of Fortean Times with one of the so-called Killer Clowns on the front, and remembered reading the article when it first came out. 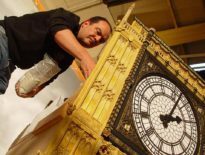 Suddenly the idea of the Shining Man popped into my head, and I fired a quick email off to Justin Richards, consultant editor on the books, and said, ‘I know we were talking about doing such-and-such, but I’ve just had an idea about urban legends and strange figures on street corners. Shall we do that instead?’ He liked it, and so I abandoned my original thinking and the Shining Man took over. As well as writing Doctor Who, you’re also writing for other massive franchises like Star Wars and now even Tekken (can’t say I saw that coming)! Is it nerve-wracking to try and add to universes that are already so established? Absolutely. There’s always a moment of impostor syndrome, that feeling that you’re not qualified to tell these stories. You have to learn to work through that though otherwise you’ll never get anything done! I’m lucky that I’m getting to play in sandpits that I’ve loved for many, many years. Suddenly all those years of watching Star Wars or playing video games has become research! Your upcoming audio, The Lost Magic, is your first Twelfth Doctor audio written without frequent co-conspirator Mark Wright. What was that like? I think I’d already written The Bleeding Heart, my upcoming Ninth Doctor audio, without Mark, as well as my work on Titan’s Doctor Who comic range, so had got used to flying solo, in the same way that Mark has been writing the DWM comic strip without me. We’re still in touch every day though, and regularly discuss our individual projects, helping each other when we get stuck on a plot point or whatever. I’ve had a few people ask me if there has been a big bust up or something, and that couldn’t be further from the truth. We’re just doing our own things at the moment, although a collaboration is hovering on the horizon again. I like to think about it as a band going off to do solo albums and then getting together from time to time to perform as a group again. We get the best of both worlds that way. So, I’ve noticed a trend. First you wrote January’s The Lost Angel. Then March saw the release of the George Mann-penned The Lost Planet. This month sees the release of your The Lost Magic. Then in July you’ve also got The Lost Flame. Call me crazy, but I think I’m sensing an overall theme of lost things. Are these the first steps of The Scott Masterplan? The Mann and Scott Masterplan actually. 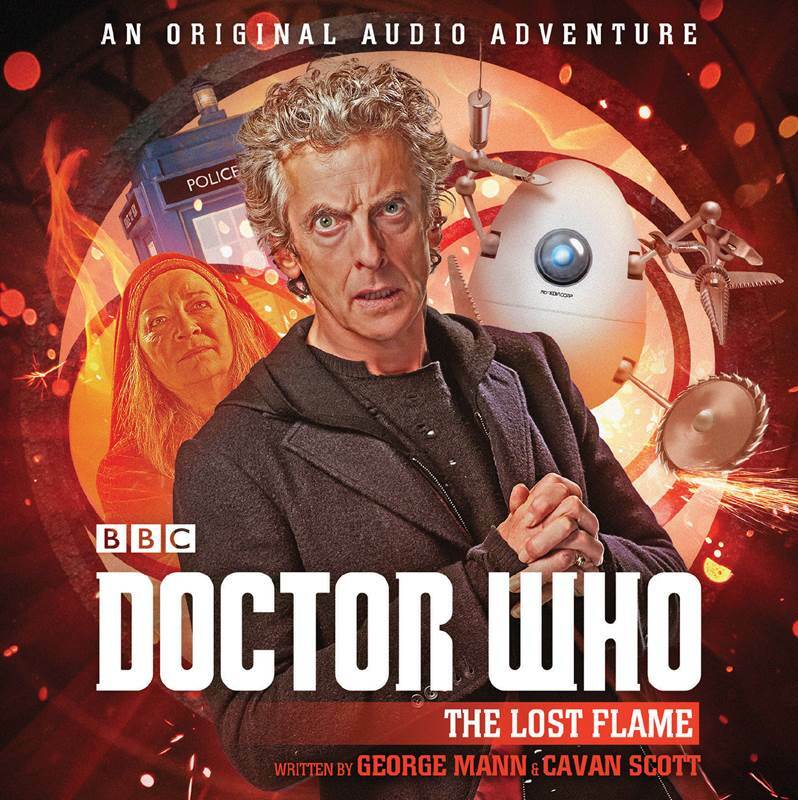 We came up with plan for the little mini-season together and it’s been fun, writing The Lost Angel with George Mann, then going off and writing parts two and three individually before returning to write The Lost Flame together again. Again, another Mann/Scott project is in the works. Speaking of The Lost Flame, is that Ohila I spy on the cover? This won’t be the first time you’ve written for Ohila, as she also featured in last year’s Titan crossover event Supremacy of the Cybermen. What was it like to be one of the first people to write for a character besides the character’s creator? Do you know, that hadn’t even occurred to me. It shows her impact in the role that I just assumed she’d been in other things. Again, there’s a responsibility with these things, to treat other people’s creations with respect and also to build on what has gone before rather than just retread the same water. She’s a great character, with a lot of potential. In fact, I think her part in the Lost audios came about because George and I had just written her in Supremacy of the Cybermen. We took an hour or two off writing the comics to grab a coffee and brainstorm the audios. She was fresh in our minds, so flowed naturally into the audio arc. I suppose I better let you go back to writing the million things you seem to be writing at all times. As we’re here though, I’ve one last question. You must’ve heard the news that John Simm is returning as the Master. Are you excited? Of course I am! I’m a huge Master fan, so seeing him/her in any of his/her incarnations is wonderful. The Season 10 excitement in the Scott household is reaching fever-pitch. My eldest daughter and I are already planning our Saturday evenings in front of the telly-box! She’s definitely inherited my love of Who! Thanks to Cavan, and don’t forget to check out his various ventures (all of which come highly recommended by the DWC), including The Shining Man, now!